Located in Essex County, on the North Shore of Boston, Plum Island has been a favorite for families and and school trips for many years. The name Plum Island often conjures up images of picnics, fishing or walking on sandy beaches. Fruit possibly comes to mind also. The island was named for what was known as the beach plum, growing wild on the dunes over a hundred years ago. Today you’ll find boutiques, local eateries and Bed & Breakfasts to stay the night. At the southern end of the island is Sandy Point State Reservation, a day use only state park. You’ll find the last lighthouse on the island at the northern tip. Pack a picnic and a soft blanket and make a day of it. Watch the sunset and the boats pass into the evening. Don’t forget your bug spray though, you’ll surely regret it! I created the color Plum Island Sand with the beach dunes of Plum Island in mind. The color is sheer and cool, like the cold water that laps at the shores. BostonMints is an all natural product, created for my clients with the most distinctive and quality ingredients available. Vitamin C, E and Aloe Vera are essential to your lips health, a refreshing spearmint flavor keeps your lips cool and plump. Never tested on animals and also gluten free, it will suit even the most particular client. 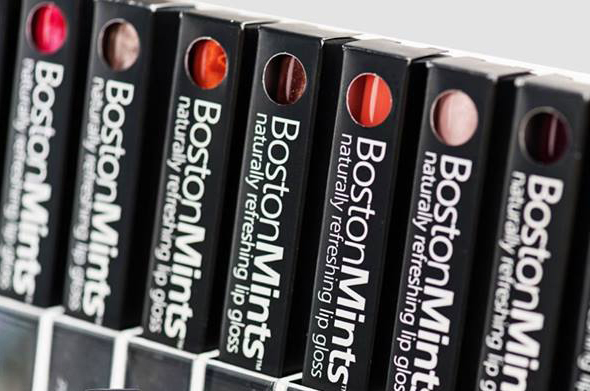 Order your BostonMints lip gloss today and be sure to check out other Summer Favorites, P-Town Pink, Vineyard Bluff and Mint-Ticket Red.